Karnavedha, or the ear-piercing ceremony, is a Hindu tradition that is being followed since ages. According to scriptures, this ceremony can be conducted on the child’s 10th, 12th or 16th day after its birth or it must be performed on the odd years of the child, like the 3rd year or the 7th year. 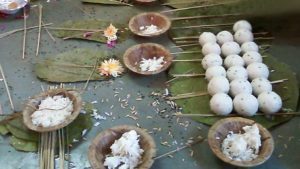 This is one of the most important rituals in Hinduism and although it has a scientific basis behind it, it has been covered up with a religious excuse and been made compulsory for Hindus. It is believed that the right ear of the boy child should be bored first and when it comes to a girl, her left ear must be bored first. The child should be made to sit on its father’s lap and must be made to face the east. The ceremony must happen in the first half of the day and can end in a feast. Susruta, the great Indian surgeon, advocates ear-piercing by saying that it prevents diseases like hernia and hydrocele. It is also believed that ear-piercing regulates the menstrual cycle in girls and prevents hysteria and other diseases. The flow of current in the human body is maintained by wearing earrings. It is believed that one can use a gold, silver or iron needle to pierce the ears. If the ear of a prince has to be pierced, the needle can be made of gold, if the ear of a Brahmin or a Vysha has to be pierced, the needle can be made of silver and if the ear of a Shudra has to be pierced, the needle can be made of iron. Although it seems discriminatory, this idea was conceived mainly because of the economic situations of these castes. However, the Smriti Maharnava says that a copper needle can be used for any child. While Susruta advocates the use of a surgeon to pierce the ears of the child, it is usually done by a goldsmith. Priests usually chant holy mantras in the child’s ears before the actual piercing is done and once the piercing is done, a thin wire is inserted in the holes to prevent them from closing. 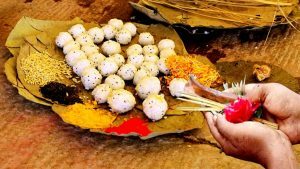 While many Hindu rituals are just ignored as superstitions, one has to delve deeply to understand the science involved behind prescribing every ritual rather than blindly follow it because it is a sin to do so otherwise. 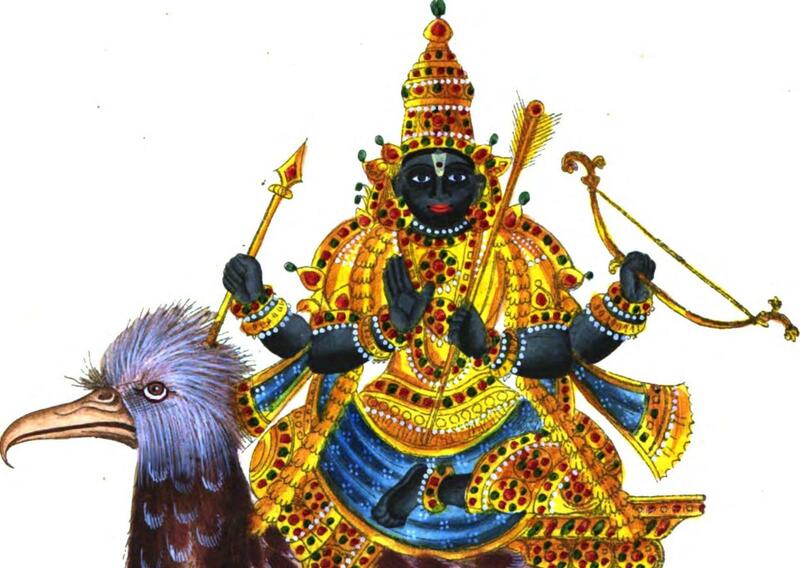 The science and the story behind the Pradakshina Science explains why we fast on Vaikunta Ekadasi Why do we offer food to God before eating it? Why do we offer food to the crows? Please tell me !!! I got my right ear pierced iam a boy ! Is this okay? Please note that not piercing the ear does not have any serious ramifications. As a hindu ritual it helps, and is also now revered by the Chinese in the name of Acupunture. The meridian points in the ear lobes connect to the left and the right hemisphere of human brain, and the piercing has the activation impact. Similar effect of brain activation may achieved by doing the ‘Thoppukuranam’ or sit-ups. It is fine if it is done after the first year, as long as it doesn’t fall under an even number it shouldn’t be a problem.